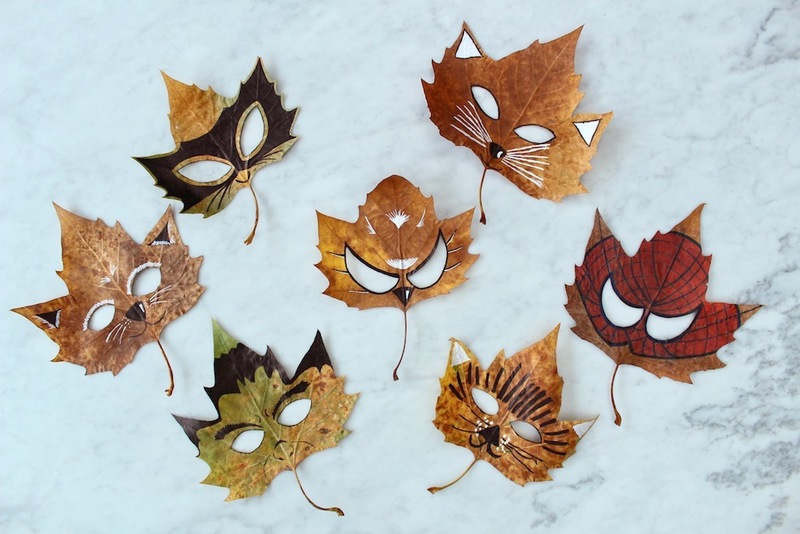 How fun are these animal and superhero leaf masks! My kids absolutely loved making them. They are so easy to do and even come with their own little stick to hold them up. All you really need are some large autumn leaves and good felt tip pens. 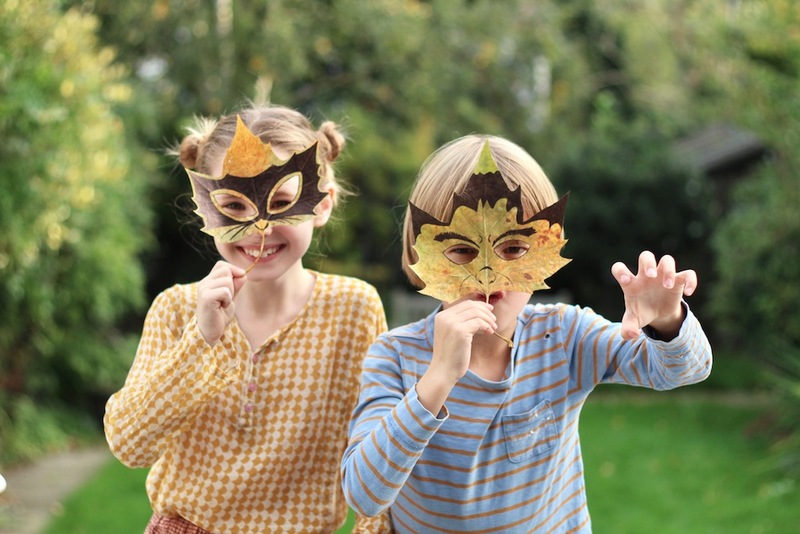 So why not get outside this weekend and take the kids on a forest leaf hunt. You will need: A selection of leaves (different colours look great). 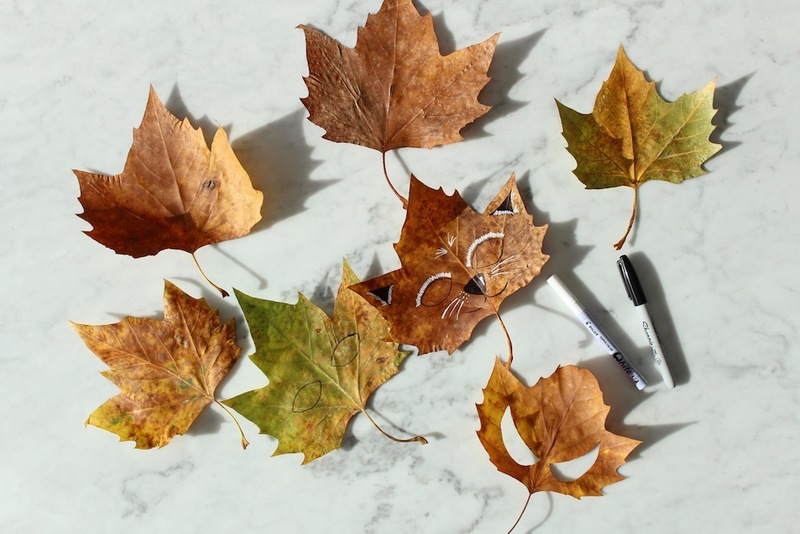 Scissors, felt tip pens – we used sharpie fine points which work brilliantly on leaves. For the white we used a fine paint pen which can be bought here. 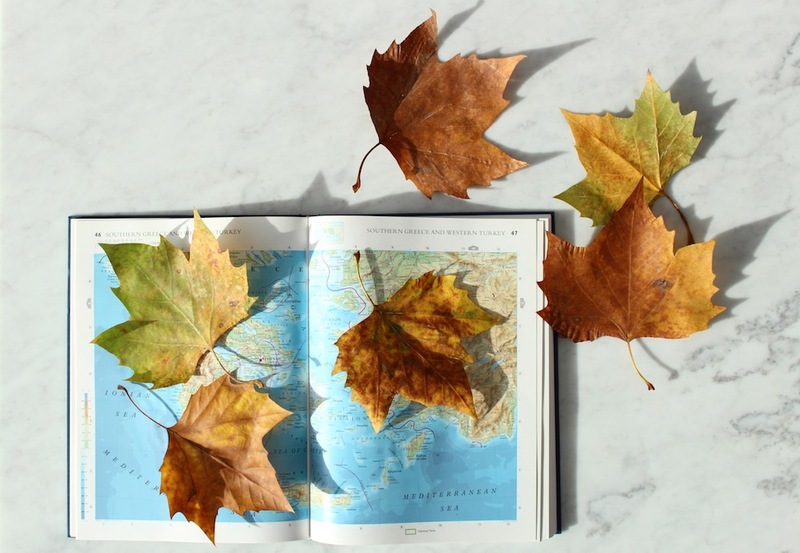 Start by pressing the leaves between the pages of a big heavy book. Sandwich them between two sheets of paper to protect the book from any moisture in the leaves. Pile some more heavy books on top and leave for at least a week for best results. Once the leaves are dried and flat cut out some different shaped eye holes and draw on some features. Woodland creatures such as foxes, owls and rabbits work well with the shape of these leaves. The kids also decided to try out a few superhero masks, Cat woman and The Hulk turned out brilliantly. I just love the simplicity of this project. Apart from the pressing of the leaves which takes time, everything else is super quick and easy and gives such brilliant results. 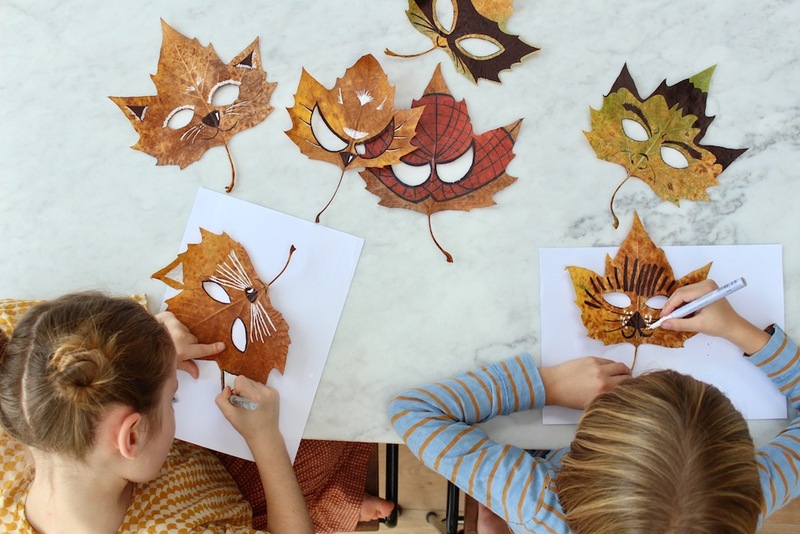 In fact with a bit of creative thinking you can turn almost anything into leaf masks we might have a go at making some halloween versions at the end of this month. 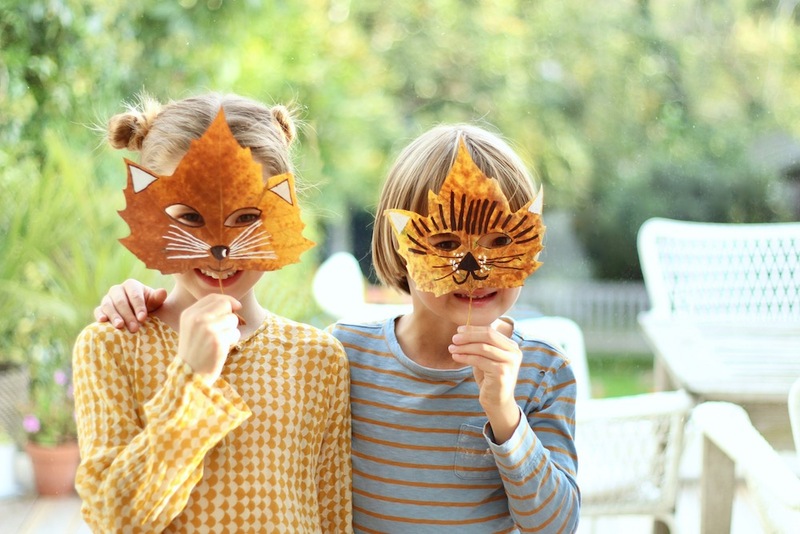 I’d love to hear if you’ve got any other ideas for what we could make, my kids are already desperate to make more! These are so super cool! What a great idea. Will these become the Halloween costumes this year?